PSE&G customers can receive a one-time TRUE grant of up to $1,500 (depending on the balance owed) towards their PSE&G bill. The maximum grant is $750 for electric and $750 for gas service, depending on your balance owed. Funds will be allocated on a first come, first serve basis. Be past due with your electric or gas account; and utility service not disconnected. 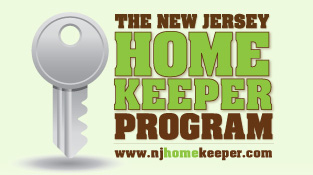 HomeKeeper promotes neighborhood stability in New Jersey communities by providing financial assistance to eligible homeowners in danger of foreclosure as a direct result of unemployment or underemployment that occurred through no fault or decision or personal circumstance of their own. HomeKeeper assistance may be used to help these homeowners make their monthly mortgage payments and keep their homes while actively seeking work or participating in a job training program, or it may be used by those who recently found work to cover mortgage arrearages accumulated during the unemployment/underemployment period. The homeowner's primary residence must be located in New Jersey and acquired on or before January 1, 2009. The home must be a one or two unit residential property. It may be an attached or detached house, condominium unit or cooperative unit or be a manufactured home on a foundation permanently affixed to real property owned by the homeowner and secured by a real property mortgage lien. 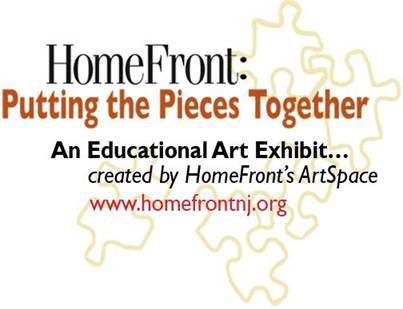 From August 21- September 25, art created by clients of HomeFront's ArtSpace will be featured at the renowned Grounds For Sculpture in an exhibit called: HomeFront: Putting the Pieces Together. The vital and dynamic human spirit of homeless and working poor families is unleashed into astounding and emotional artistic expression in this educational art exhibit. Seeking Volunteers to do Free Taxes! To be a volunteer tax preparer, you must take and pass the IRS test. There will be a two-half day sessions, where you will receive practical knowledge in tax law, and TaxWise software use, as well as hands-on practice completing tax returns. Then the volunteer will proceed with individual self-study with support and then take the IRS test. We are also looking for bilingual volunteers. If you are bilingual, but don’t want to learn the taxes we could use you as a translator. Training will be scheduled for the Fall. Volunteers are needed January to April for 2 to 4 hours a week. There are a variety of sites with different hours needing volunteers. Sign-up: Jennifer Rosado @ jrosado@merceralliance.org. Check County webpage for updates.